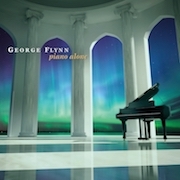 On "piano alone" new music composer and pianist George Flynn performs three piano solos, seeking to extend the limits of gestural, technical and poetic elements - Glimpses of Sid Kleinman (2007) 18:49; Northern Lights (2009) 29:30 and Into the Night (2012) 18:05. 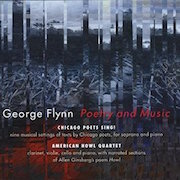 New Music composer and pianist George Flynn explores song possibilities with a cycle of nine songs using texts by Chicago poets Sally A. Kitt Chappell, Art Lange, Kathleen Lombardo, Nina Corwin, George Drury and D. H. Robinson. Chicago Poets Sing! are dramatic duos for voice and piano, in virtuoso performances by Flynn and soprano Leila Bowie. Plus, American Howl Quartet for clarinet, violin, cello and piano (Cory Tiffin, clarinet; Ellen McSweeney, violin; Daniel Klingler, cello; Nolan Pearson, piano; Marc Embree, narrator) of Allen Ginsberg's poem Howl. More can be learned from a composer from his or her chamber music versus full orchestral compositions. From the Southport Composers Series, pianist and Composer George Flynn weaves his music through string quartet; piano quartet, solo clarinet and solo viola. 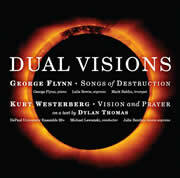 "Dual Visions" is a collaborative recording from Artistic Producer Kurt Westerberg and Southport Composers Series Executive Producer George Flynn. A setting of Thomas' twelve-verse, shaped poem for solo voice, back-up voices and a 13-piece chamber ensemble. New Music composer and pianist George Flynn releases a new recording for the Southport Composers Series, with "Remembering." Featured Artists: Heather O'Donnell, piano; Katherine Hughes, violin; Peter Szczepanek, cello; Stuart Leitch, piano; Larry Combs, clarinet; George Flynn, piano. All the compositions on this disc "remember" scenes and experiences of my earlier years (American Summer, Remembering, Fuguing) as well as composers who influenced me (Remembering, Toward the Light, Fuguing). And one piece (Forms of Flight) "remembers" its source - my longest chamber work, American Rest. Hence the title of this disc. - George Flynn. 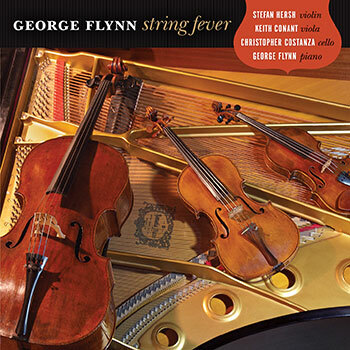 New Music composer and pianist George Flynn releases a new recording for the Southport Composers Series, with "String Fever." The three major works are composed for violin & piano ("Together" - Stefan Hersh, violin); viola & piano ("Duo" - Keith Conant, viola); and cello & piano ("Winter Landscape" - Christopher Costanza, cello). 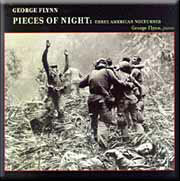 George Flynn is pianist on all tracks. 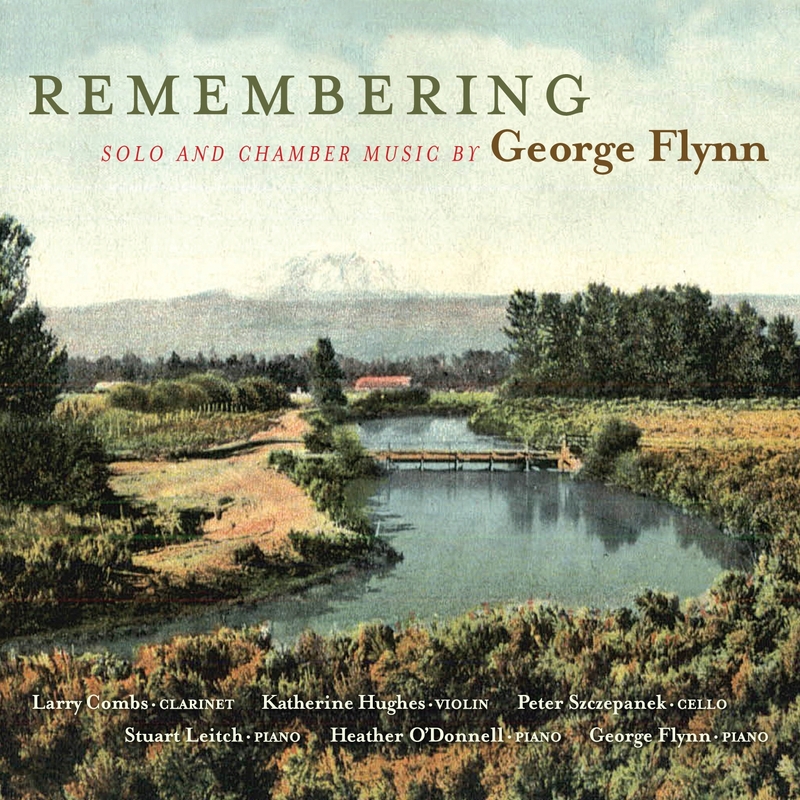 The music of George Flynn is no mere stance; his melodies are full of circumstance. 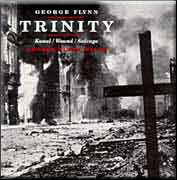 George Flynn's compositions have the ability to overwhelm and amaze with intense expression and musical abandon. 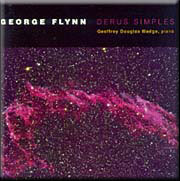 Music For Violin And Piano By George Flynn. Beyond large orchestral works, many feel that the musical essence of any composer can be found in works for small ensemble. The small ensemble seems to peer into the brain of composition and creativity. 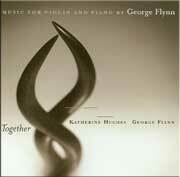 "Together" is in essence 3 duets for Violin and Piano that span several years in the life of Chicago new music composer and educator George Flynn. It also documents his long relationship with Chicago violinist Katherine Hughes. George Flynn is blessed with the ability to not only write for the piano, but also to play and execute his notated concepts. The composer is the pianist in these intimate settings. "Together" is another release in The Southport Composers Series. This series of sound experiments and compositions documents new classical music from Chicago to a world market. George Flynn plays the 9' Baldwin Concert Grand from Sparrow Sound Design. 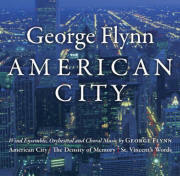 Chicago Composer/pianist George Flynn launches new series with a double/solo piano epic. Disc 1 is an Atlantic re-release! Composer Flynn returns with a solo piano interpretation by master pianist Geoffrey Douglas Madge. A bold new recording from the Southport Composers Series. 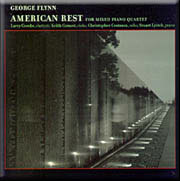 The companion set to “American Rest”; this is a live recording with Flynn on the piano, recorded in Preston Bradley Hall in Chicago. 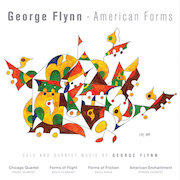 As part of the Southport Composers Series, this release features Flynn’s ode to The Vietnam war via chamber settings, with Larry Combs of the Chicago Symphony Orchestra on Clarinet.